After a fun morning swimming at Walden Pond with Little Miss, we sought out a cure for our grumbling tummies. 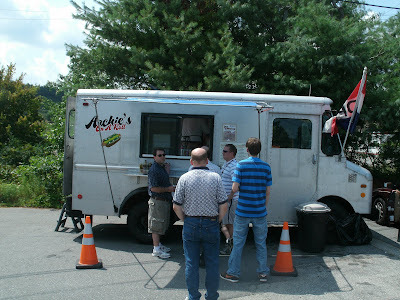 Today’s adventure brought us to Archie’s On A Roll at 1 D’Angelo Drive in Marlborough, MA. 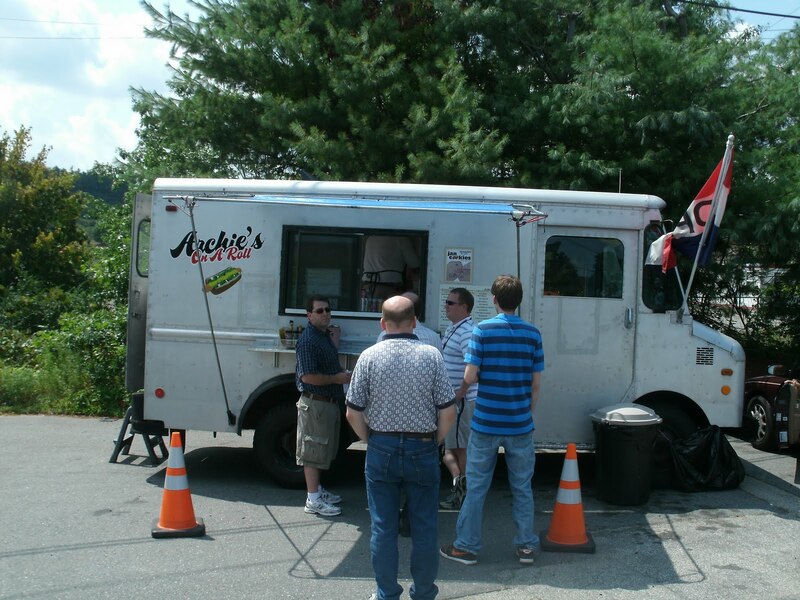 Archie’s is an old school “Kurbmaster” hot dog truck that owner Alan Archibald drives daily from his home to his spot, which is located in a big office park, right in front of the Ken’s Salad Dressing World Headquarters. Alan’s working on a dog that includes a Ken’s salad dressing product, just to show he’s a good neighbor! 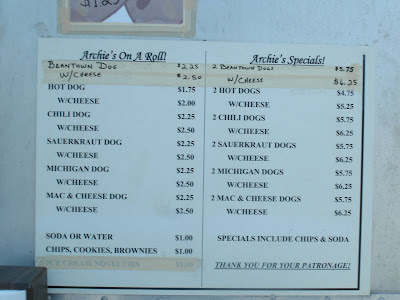 Archie’s On A Roll is open Monday thru Friday from 11:00 A.M. until 3:00 P.M (sometimes later-but 3PM for sure). I first met Alan about four years ago when he started coming by MY Hot Dog Truck. 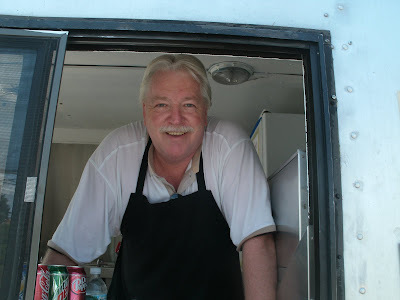 He was looking to get into the business and he’d visited The Hot Dog Truck dot com to learn how to start a hot dog business. He was loaded with questions and he had a dream to have his own hot dog truck (us hotdogmen lead glamorous lives ya know). We shared our ideas, trials and tribulations and I even sent him a gig when I got hurt last year. 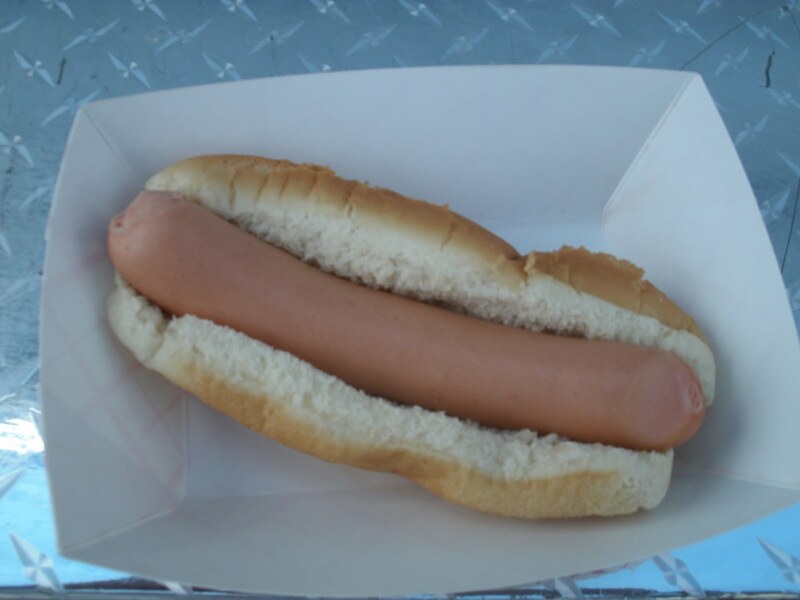 Here’s a hint for you hot dog man “wannabees:” DON’T BE AFRAID TO TALK TO A HOTDOGMAN ABOUT HIS BUSINESS. As long as you’re not going to open up in his territory, a working hot dog man is a good resource. Most hotdogmen are good guys. Alan’s no exception. You can’t tip him-his tip jar goes to the Shriner’s. He’s definitely got a good hot dog business going. 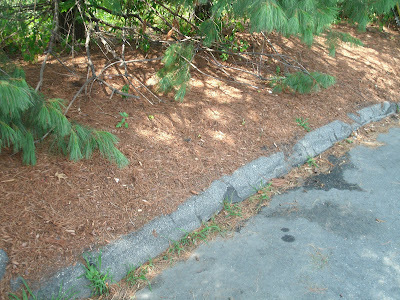 He told me he sometimes doesn’t leave his spot until 5 or 6 PM because he’s so busy, like he was when Little Miss and I pulled up. 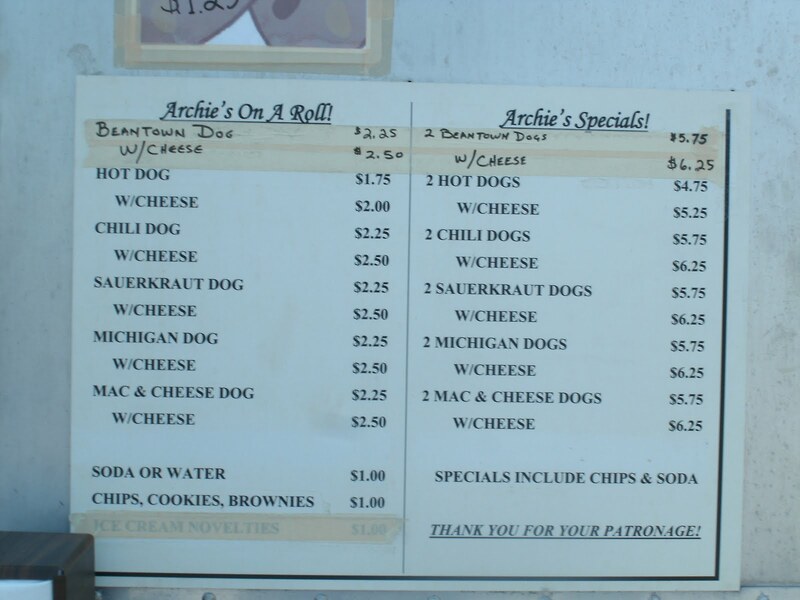 Archie’s menu is straight up hot dogs- no fluff here! Little Miss got her standard plain dog. Archie’s serves up steamed Kayem Old Time Franks on fresh,steamed rolls from Hannaford’s market. I was more adventurous. 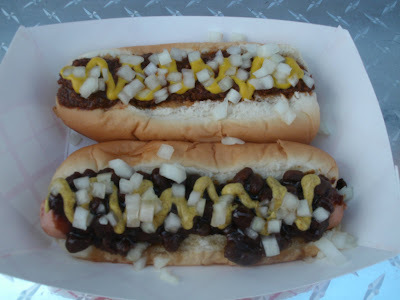 I ordered up a Michigan Dog and a Beantown Dog-both with cheese. The Beantown Dog had baked beans, cheese, chopped onion, brown mustard and a tiny bit of maple syrup on it (I put maple syrup in beans so my kids will eat them). The Michigan Dog has cheese, onions, yellow mustard and Archie’s Home Made Michigan Sauce- a recipe he’s very protective of. He should be-he spent four years perfecting it. Alan is a true craftsman of the tubesteak and bun. Both dogs were excellent. I washed them down with a Cream Soda-my favorite vintage for haute dog cuisine. The maple syrup on the beans combined with the zippy brown mustard provided a nice contrast in flavors with my Beantown Dog. Archie’s Michigan dog features his own “Michigan Sauce.” It’s a meat chili thats not too hot but still has a bit of spiciness and a very rich, smoky flavor. EAT THIS HOT DOG if you go to Archie’s! 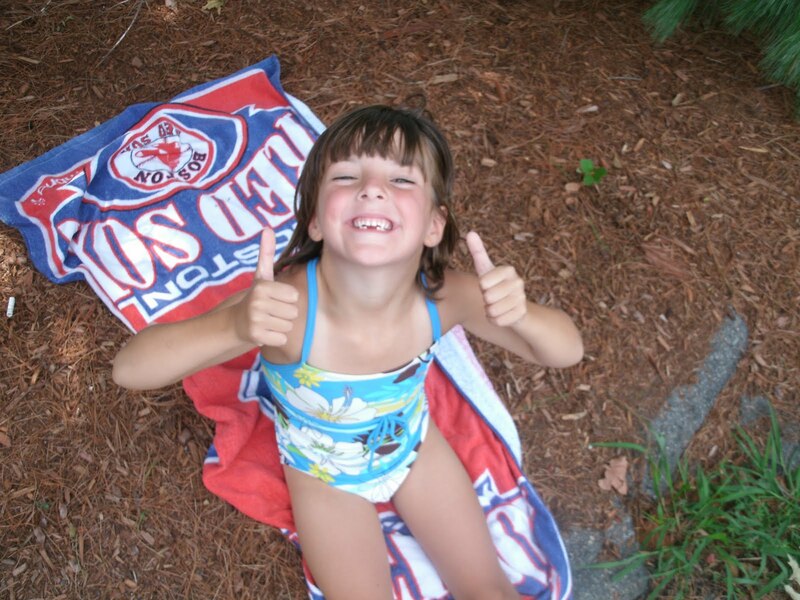 Little Miss gives Archie’s on a roll TWO THUMBS UP! So does the Hotdogman. If you are a true hot dog aficionado, Archie’s On A Roll needs to be on your list of “must visit” hot dog trucks. Tell him The Hotdogman sent you. It was great to see you & your daughter! Glad you enjoyed your lunch & thanks so much for the kind words! See you soon! I'm going up to Montreal this weekend…going to Lafleur's! 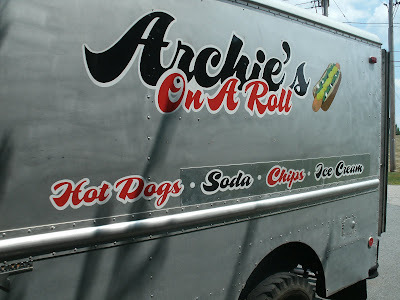 Archies on a Roll is Americana on a bun. I relish the thought of going back for more. Next time I get back home, I'm stopping by! !